HMRC has announced a deferral to the start date of 6 months for some more complex businesses – details below. Businesses within scope will need to acquire a suitable commercial software product or appoint an agent to submit returns to HMRC on their behalf. Some businesses with the necessary skills will register with HMRC as software developers themselves and will develop their own bespoke software solutions, but these will be the exceptions. HMRC’s online VAT return will remain available only to businesses that are voluntarily registered for VAT (ie, businesses that complete a VAT return but have taxable turnover below the VAT threshold). The MTD for VAT requirements will apply to all VAT registered businesses and organisations with turnover above the VAT threshold of £85,000. This includes unincorporated businesses, partnerships, companies, LLPs, trusts, non-UK businesses registered for UK VAT and charities. VAT registered businesses with turnover below the VAT threshold can opt in to MTD and file their VAT returns using MTD compatible software but there is no obligation to do so. These groups will be mandated to use MTD from 1 October 2019. HMRC will be sending an individual letter to each deferred business to advise them that their start date is 1 October 2019 rather than 1 April 2019. These letters include formal legal notification of the deferral of the start date and any business that wishes the deferral to apply must ensure that they receive the letter and should retain it carefully. include standard rated, reduced rated and zero-rated supplies; and exclude outside the scope and exempt supplies. The £85,000 threshold for MTD for VAT also applies to non-established taxable persons (NETPs) even though if they are required to register once they have taxable turnover of £1. The relevant period to be considered when determining whether the MTD for VAT requirements apply is the same rolling 12 months that applies when considering whether a business must compulsorily register for VAT, but there is no rule that looks forward. When MTD for VAT starts you consider the 12 months to the businesses’ potential start date for MTD for VAT when deciding whether the requirements apply. Voluntarily registered businesses that have not opted into MTD for VAT, will need to continue to monitor their turnover to establish when they need to start complying with the MTD for VAT requirements. Businesses that newly register for VAT (compulsorily) will need to consider how they will comply with the MTD for VAT requirements and will have very limited time in which to comply. Once a business is required to comply with the MTD for VAT requirements, the obligations continue, even if the turnover of the business subsequently drops below the VAT threshold. Eventually, MTD for VAT may be extended to all VAT registered businesses, but this will not happen before April 2020. An exemption for the digitally excluded is included in the regulations and mirrors the current exemptions from online filing for VAT. The exemptions cover those that do not use computers for religious reasons and those that are unable to comply because of age, disability or location (or for any other reason). Existing exemptions from online filing for VAT are expected to be carried over automatically to MTD for VAT. Those that are not currently exempt from VAT online filing may find it difficult to persuade HMRC that the exemption should apply. 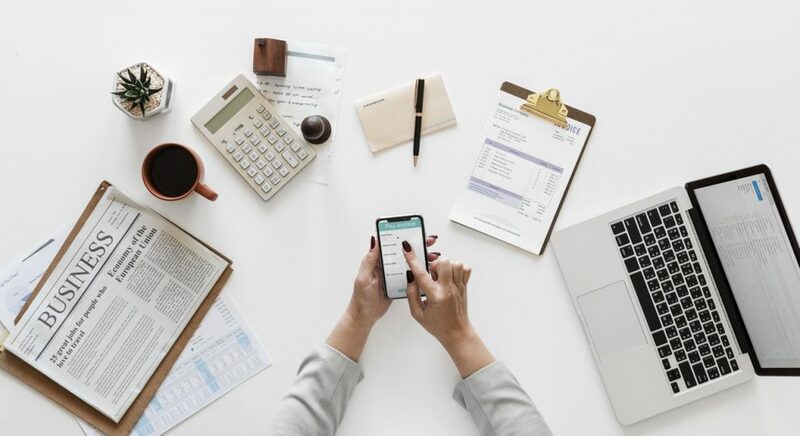 Difficult cases will arise, particularly where an individual has some basic digital skills such as being able to send emails, but would not be able to cope with accounting software or a spreadsheet. There is no specific age at which the exemption applies; each case will be taken on its merits. Location covers those who cannot obtain access to broadband because of where they are located. The exemption will not apply to those who could sign up for broadband but have not done so. HMRC is expected to issue further guidance in November 2018 on how to apply for exemption; the current process is to phone the VAT helpline or make a written request, but HMRC recommends that applications are not made until further guidance is published. when that person’s estate becomes vested in any other person as that person’s trustee under a trust deed. Information on MTD for VAT compatible software and how to choose a suitable product is available on the MTD software page. There are separate lists of products that have been fully tested and those that are still in development. HMRC is working closely with software providers to ensure a range of suitable products will be available at a variety of price points. It is unlikely that a free software product with MTD for VAT functionality will become available. For the first year, HMRC will not enforce the requirement to have digital links in place. This is to allow some more time for links between legacy systems to be made digital. The MTD for VAT pilot started in April 2018 and moved to public beta in October 2018. This means any business that meets the eligibility criteria and has acquired MTD for VAT compliant software can now join the pilot. are a business that is newly registered for VAT and has not previously used their VAT online account to submit their VAT Return. Note that businesses that pay their VAT by direct debit cannot sign up during the 15 days leading up to the submission date. The VAT account is the link – the audit trail – between the business records and the VAT return. The information required to be held in the VAT account must be kept digitally (the regulations refer to this as the “electronic account”), and the information in that electronic account will be used by functional compatible software to calculate and fill in the VAT return. The regulations allow HMRC to relax the digital record keeping requirements where it would be impossible, impractical or unduly onerous to comply. HMRC is using this power to allow supplies made by third parties to fall outside the digital record keeping requirements until the point at which the agent supplies the information. This allows a summary received from an agent to be treated as a single invoice to create the digital record. The example given is that of a letting agent. This relaxation does not apply to employees or others such as charity volunteers who are not third party agents. HMRC is expected to issue further guidance to relax the requirements for supplies made in connection with activities run by charity volunteers. There is a similar relaxation for supplies received by third-party agents and for employee expenses.